Gastritis or inflammation of the stomach may cause unpleasant symptoms and increase your risk of ulcers and stomach cancer. Gastritis treatment comes in many forms. 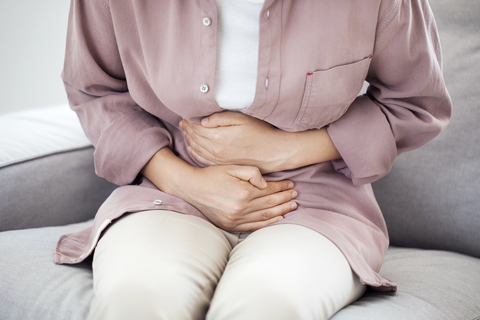 In learning about gastritis treatment, you'll first communicate your symptoms. They may include reduction in appetite, nausea and vomiting, bloating and belching, indigestion of heartburn, burning or nausea between meals, and even hiccups. There are two types of gastritis: erosive and non-erosive. Erosive gastritis can cause the stomach lining to wear away, causing erosions or ulcers. Non-erosive gastritis causes inflammation in the stomach lining, but rarely ulcers. 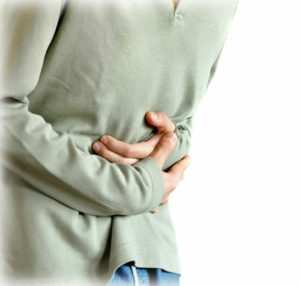 The process of gastritis treatment begins with accurate diagnosis. Experts at the National Institute of Diabetes & Digestive & Kidney Diseases explain that most causes of gastritis fall into three groups: H. Pylori infection, reactive gastritis, and autoimmune gastritis. Helicobacter Pylori: H. Pylori is a bacteria implicated in many cases of gastritis. The gastritis tends to be non-erosive. It is thought that in many the infection begins in childhood, but presents with symptoms in adulthood. The transmission method is not fully understood, but contaminated food, water, or eating utensils may spread the infection. While relatively common in the United States, it is very prevalent in developing countries. Autoimmune gastritis. Here the immune system attacks healthy cells in the stomach lining, it is chronic and typically non-erosive. Other rare causes: Crohn’s disease, sarcoidosis, fungal infections and viral infections (such as cytomegalovirus, in people with immune deficiency) can also cause gastritis. A stomach ulcer (also known as peptic ulcer or gastric ulcer) is an erosion of the lining of your stomach or duodenum. An esophageal ulcer, an ulcer that develops just above your stomach in your esophagus. Indigestion or dyspepsia is a general term that describes a group of gastrointestinal symptoms that occur together, including pain, a burning feeling, or discomfort in your upper abdomen; feeling full too soon while eating; and feeling uncomfortably full after eating. Esophagitis is inflammation of the esophagus, which lies above the stomach, one cause of which is GERD. Viral gastroenteritis is inflammation of the lining of the stomach, small intestine, and large intestine, caused by several different viruses. It is highly contagious and extremely common. Gastroesophageal reflux (GER or GERD) happens when your stomach contents come back up into your esophagus. Stomach acid that touches the lining of your esophagus can cause heartburn, also called acid indigestion. Some people require no gastritis treatment, their gastritis is temporary and the body heals itself. Many people with mild symptoms treat themselves at home with over-the-counter medications (OTC), including antacids, H2 antagonists, or proton pump inhibitors (PPIs). It is important not to take these for more than a couple of weeks, without seeing your doctor. If left untreated, gastritis increases your risk of developing stomach ulcers and gastric cancer. Medical gastritis treatment depends largely on the underlying cause but basic treatment for all groups begins with antacids, H2 antagonists, or PPIs; these drugs reduce acid production and allow inflammation of the mucosa to settle; see below for more information. Medication-induced gastritis. Consult your doctor about stopping or reducing medications such as NSAIDs and steroids (must be stopped under medical advisement). Alcohol-, cocaine-, or chemical-induced gastritis. Reduce alcohol consumption, cocaine usage or stop ingestion of the chemical, with help from your doctor if necessary. H. Pylori gastritis. H2 antagonists or PPIs plus antibiotics may be used to treat chronic gastritis caused by infection with Helicobacter pylori bacteria. Autoimmune gastritis. If you develop pernicious anemia (low absorption of B12) you may need B12 injections. Allergic gastritis. An allergy specialist will help you determine which foods to avoid. Viral gastritis. Antiviral medications may be prescribed. Candida-induced gastritis. Treat with antifungal medications such as including nystatin or clotrimazole. Antacids. These contain containing aluminum and magnesium and can help relieve neutralize gastric acid. These are inexpensive and relatively safe. Examples include: Alka-Seltzer, Milk of Magnesia, Gaviscon, Pepto-Bismol and Tums. H2 blockers. This class of drugs blocks the histamine 2 receptor, in the stomach, reducing acid secretion, which is stimulated by food or the neurological system. Within the class different drugs have varying potencies. Examples include: Cimetidine (Tagamet), ranitidine (Zantac) and famotidine (Pepcid). Proton pump inhibitors. This class of drugs can completely inhibit acid secretion. Examples include: Omeprazole (Prilosec) and lansoprazole (Prevacid). Antibiotics. These are prescribed when bacterial infection is confirmed. Triple therapy is used by many doctors and includes a PPI and two antibiotics, usually clarithromycin, and amoxicillin or metronidazole. If this fails quadruple therapy adds in a bismuth based drug. Antibiotic resistance is on the rise, so your doctor may need to try a few different antibiotics and lab testing to treat your strain of the bacteria. There are concerns about the long term use of all of these medications, so try and find the underlying cause of your gastritis and do all you can to reduce sources of reactive gastritis. Eating more: Broccoli and broccoli sprouts, garlic, probiotics, ginger, apple cider vinegar, and green tea. Eating less: Dairy, soy, gluten, processed foods, coffee and soda. Prevention of gastritis involves avoiding the causes of reactive gastritis and reducing H. pylori infection. To help prevent H. pylori infection: Wash hands with soap and water after using the bathroom and before eating, eat food that has been washed well and cooked properly and drink water from a clean, safe source. abdominal pain, acid indigestion, acute gastritis, alcohol, alcohol consumption, allergies, allergy, anemia, anti inflammatory, anti inflammatory drugs, antibiotics, antifungal, appetite, apple cider vinegar, b12, bacteria, bacterial infection, belching, bloating, cancer, causes of gastritis, chronic gastritis, coffee, cure gastritis, dairy, diabetes, diet, digestive, erosive gastritis, esophageal ulcer, excessive alcohol intake, food, food allergies, foods to avoid, for pain relief, gallbladder, garlic, gastric acid, gastric cancer, gastric ulcer, gastritis, gastritis causes, gastritis diet, gastritis relief, gastritis treatment, gastroenteritis, gastroesophageal reflux, gastrointestinal, gerd, ginger, gluten, green tea, h pylori, h pylori gastritis, heartburn, helicobacter pylori, hiccups, histamine, how to cure gastritis, immune system, increases your risk, indigestion, infection, inflammation, inflammation of the stomach, magnesium, milk, non erosive gastritis, nsaids, omeprazole, pain, pain relief, peptic ulcer, ppi, ppis, prilosec, probiotics, processed foods, radiation, reflux, severe pain, signs of gastritis, soy, stomach acid, stomach lining, stomach ulcer, stomach ulcers, stress, ulcer, ulcers, upper abdominal pain.